Entertainment Weekly unveiled four collectible covers for its issue this week, featuring the major characters of Avengers: Age of Ultron. 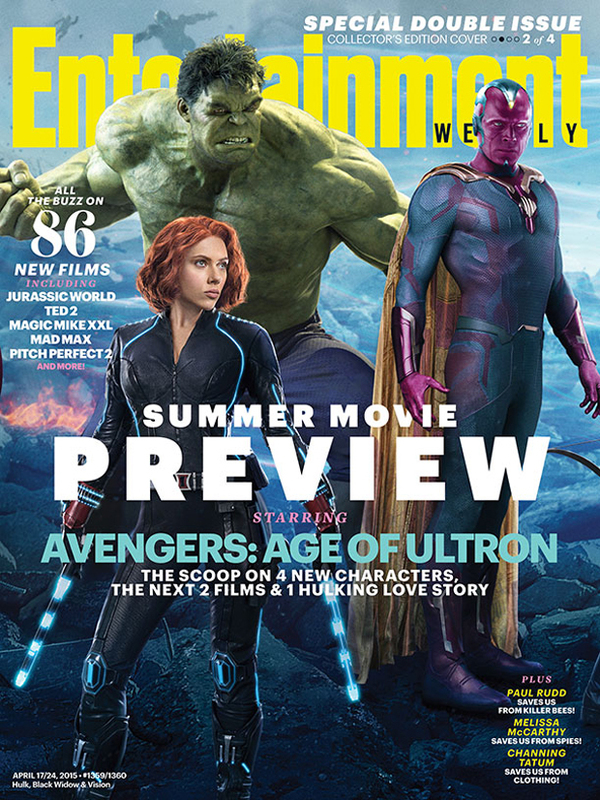 One of the covers includes the previously elusive Vision, played by actor Paul Bettany. I was actually hoping for a more robotic look for Vision. He kinda reminds me of Robocop’s Alex Murphy in these shots. Perhaps he’ll look better in the movie. The cover unveiling also casually summarized one of the crucial plot points of Avengers: Age of Ultron, so if you don’t mind reading spoilers head to Entertainment Weekly’s website.